A Watch Dogs promotion unintentionally demonstrates why you really should be watching your "digital shadow." 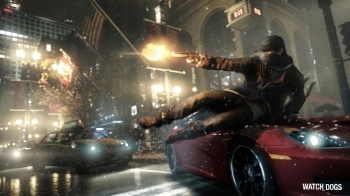 Data-hacking thriller Watch Dogs, which is conceptually built around the idea of everyone's data forming "digital shadows" and the manipulation thereof, was first unveiled at E3 during Ubisoft's press conference. Ubisoft then began an Alternate Reality Game based on the E3 gameplay footage, creating a website that treats the fictional dotconnexion art exhibit from the game as a real entity. Fans who participated in the ARG got a little too well-acquainted with their own digital shadows when their email addresses were accidentally exposed to hundreds of strangers. Players were originally encouraged to sign up at the dotconnexion website in order to receive updates by email. These updates were sent out in batches of 500 recipients, sorted alphabetically. Yesterday an update went out mourning the dotconnexion owner's death in a "tragic, yet unexplained accident," but the update itself had a major problem. The sender of the email apparently included recipients' emails in the To line, which displays the email addresses of the recipients, rather than the BCC line, which hides them. The end result: At least one thousand fans had their email addresses publicly sent to 499 other people, and are now caught in lengthy email chains with hundreds of irate strangers. Since not everyone's email address was leaked - it seems only the first few letters in the alphabet were affected - this debacle is probably not an intentional part of the ARG. On the bright side, it ties into the game's themes quite nicely.